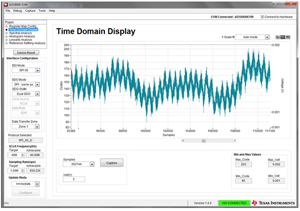 The TIDA-01351 is a continuous wave (CW) signal conditioning subsystem for ultrasound imaging systems (64-, 128-, 192-, 256-channel ultrasound system). 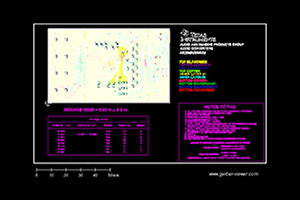 This design features 20-bit fully differential simultaneous sampling with true raw data available for processing. 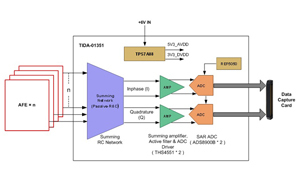 This TI Design consists of a fullydifferential signal path for I and Q channels, each using high-performance SAR analog-to-digital converters (ADCs) (ADS8900B), fully-differential precision amplifiers (THS4551), a dual low-noise, lowdropout (LDO) voltage regulator (TPS7A8801), and a precision voltage reference (REF5050). The TIDA-01351 can be interfaced with the PH1-EVM controller through the multiSPI™ digital interface, and the performance can be evaluated using a PC-based application (GUI) from any PC through the USB interface.